The University of Guam, in collaboration with the Archaeological Studies Program-University of the Philippines, the San Carlos University, and the National Museum of the Philippines, is offering a summer archaeological field school. The field school will provide participants intensive training in archaeological site excavation, mapping, and artifact analysis and interpretation as well as training in landscape analysis. The course is open to undergraduate and graduate students from any university, who will earn 6 University of Guam credits. The project is directed by Dr. Stephen Acabado, Assistant Professor, University of Guam, and co-directed by Dr. John Peterson, Associate Professor, University of Guam, Prof. Wilfredo Ronquillo, Head, Archaeology Division, National Museum of the Philippines; Dr. Grace Barretto-Tesoro, Associate Professor, Archaeological Studies Program, University of the Philippines; and, Prof. Jojo Bersales, University of San Carlos. Dr. Acabado and Dr. Peterson will serve as the UOG Instructors of Record. With the longest shoreline in the Island of Cebu and adjacent to other islands in the Philippine Archipelago, ancient San Remegio inhabitants exploited both marine and terrestrial resources. 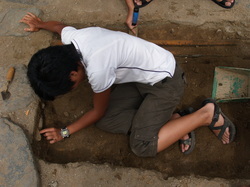 Previous archaeological work in other parts of the island suggests that Cebu Islanders were contributors to an extensive trade network throughout the islands of Central Philippines. Cebu, Philippines. 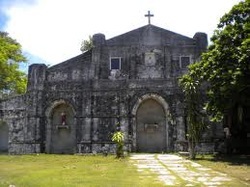 The town is located in the northwestern part of Cebu Island, about 2-3 hours drive from Cebu City. Field school participants should schedule to arrive in Manila by May 30, 2010. We will have pre-excavation orientation as well as lectures on Philippine and Island Southeast Asian archaeology at the University of the Philippines-Diliman May 31-June 1. Participants will also visit various Manila museums during this period. On June 2, we will travel to Cebu by plane, and from Cebu City airport to San Remegio by van. We will return to Manila via plane by about June 30th, to catch your flight home by July 2nd. Tentative course fees are $4,500.00, which include all tuition, food, housing and travel within the Philippines. The participant is responsible for travel to and from the Philippines (about $1100-$1500 from the US), visa fees, health insurance and personal cash. Archaeological work involves physical work in the outdoors. You should be aware that conditions in the field are different than those you experience in your home or college town. You will be required to engage in moderate to rigorous climbs. Please bring appropriate footwear and clothing to protect yourself. If you have any concerns, discuss them with your doctor and/or project director as appropriate. Application forms should be submitted as soon as possible. The deadline is February 15, 2010.